Student House continues to recognise the important contribution NSW public schools make each year to assist with our work. 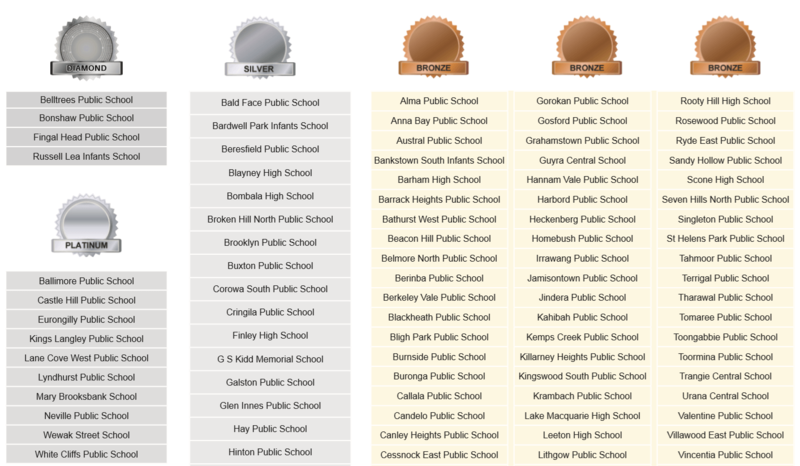 We acknowledge school donations on a student per capita basis, not on school classification with five tiers of supporter status (diamond, platinum, gold, silver and bronze). In this way, we extend our gratitude to all within the school community for their support. To be eligible for an award, a school community must fundraise for Stewart House and ensure the donation reaches our offices by 31 December each year. Once a donation has been registered, your school’s staff contributions (through the Salary Contribution Scheme) are included in a final total. We then obtain enrolment figures from the DoE annual census in order to calculate the final student per capita donations.